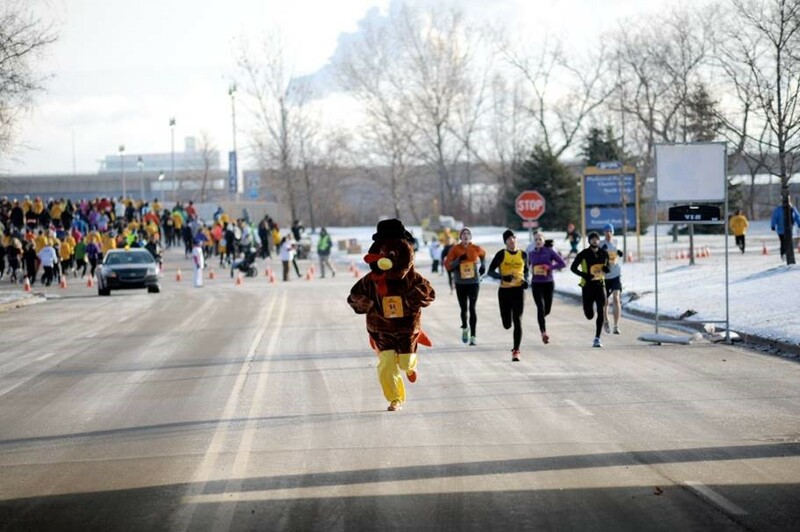 Thanksgiving is all about tradition and for many MKE runners this includes participating in a local turkey trot. 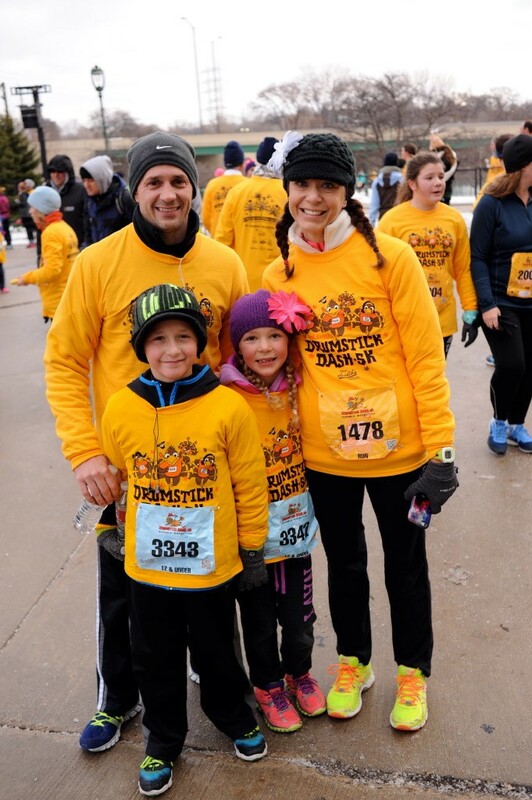 Drumstick Dash is one of the most popular turkey trots in the Milwaukee area and is a fun event for the entire family. Below, Joe Trinosky, Marketing Manager with Vision Event Management, tells us more about this year’s race. 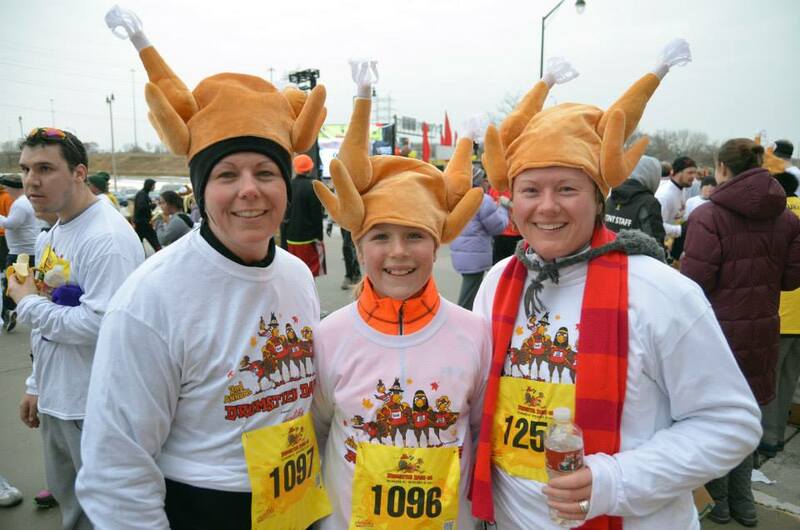 This is Drumstick Dash’s fourth year in MKE – can you talk a bit about what makes this race a Thanksgiving favorite? 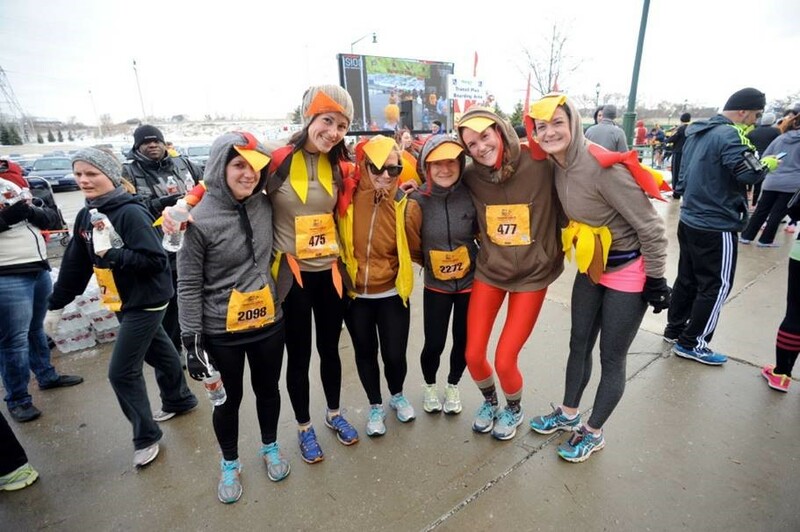 That is a great question and there are a few reasons why the Drumstick Dash is a Thanksgiving favorite: First off, it is a great way for people to give back to their community and help those in need. Feeding America Eastern Wisconsin is the benefiting partner for the Drumstick Dash, and to date, we’ve raised more than 100,000 meals for those less fortunate in Eastern Wisconsin. Having an event that gives back at a time when we sit down to give thanks really resonates with our participants. Secondly, it is a fun way for families to get out and burn some calories together before a meal. 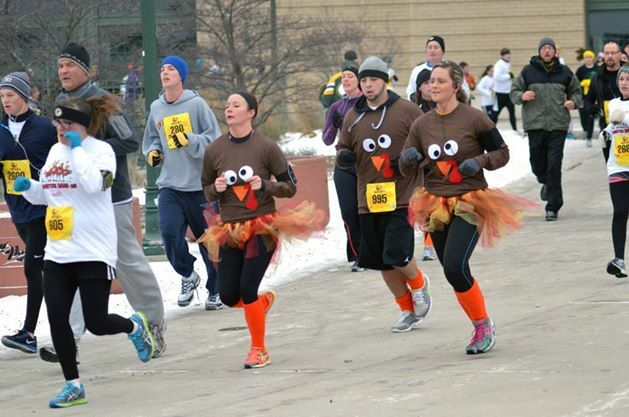 Many participants dress in Thanksgiving-themed costumes, adding to the level of fun for everyone. Lastly, the Drumstick Dash is at Miller Park, home of the Brewers, and people love the atmosphere that a professional sporting venue provides. Is there anything new or different at this year’s race? Last year was such a success at Miller Park so we are keeping with a majority of the same aspects. We do have Fox6 and FM102.1 joining us this year, which is new and exciting, and we are very happy to have them onboard. How can participants best enjoy the fun race atmosphere? This year’s event will offer people who donate cash or food items to win a turkey or pie from Sendik’s food market. Also, the top five finishers who are able to beat Dash, our sprinting turkey in the race, will receive gift certificates to Performance Running Outfitters. Packet pick up and the race are at Miller Park, which provides excitement in the location alone! Parking for packet pickup and race day will be free. All questions regarding the race map and parking are answered in the FAQ section on our website. Can you tell us a bit about the Outta Town Dash Around option? How can people sign up for this option? The Outta Town Dash Around is a great way for those who are traveling for Thanksgiving, or who have moved away but love to be involved in their hometown tradition. 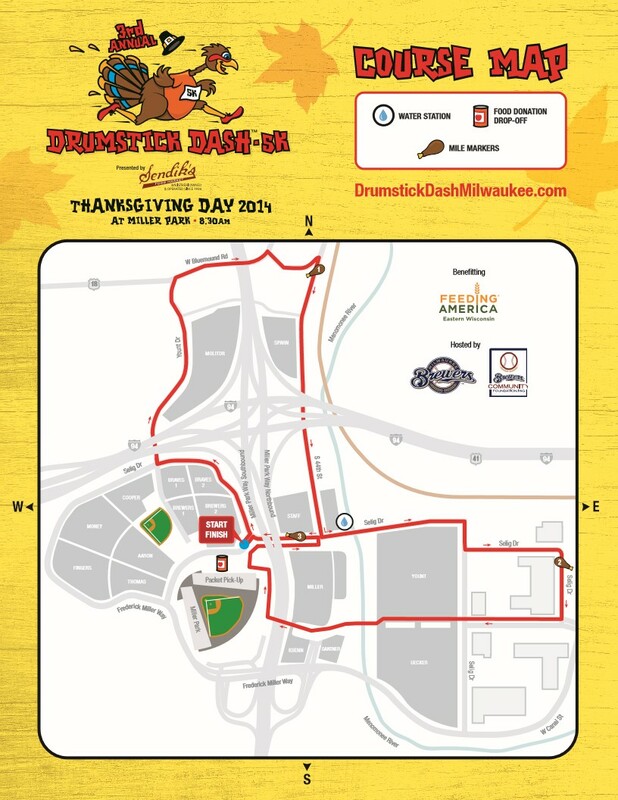 For our Outta Town Dash Around, people need to register by November 15 and they will receive a Drumstick Dash long-sleeve T-shirt to wear wherever they are on Thanksgiving morning. Participants in the Outta Town Dash Around are encouraged to share their photos on our social media channels and use the hashtags #OuttaTownDashAround and #DrumstickDashMKE. To sign up, select the Outta Town Dash Around during registration. There will be turkeys and pies raffled off for people who provide donations. For those who donate with their registration, we will raffle off 45 pies to people who donate between $25-49 and 15 turkeys for people who donate $50 or more. There will also be raffles held the day of the event, with one raffle ticket awarded for every food item or $1 donation. Once participants cross the finish line, they can go by the Clock Tower entrance to see if they are a winner. For family and friends of runners – are volunteers needed at the event? If so, what are volunteers needed for and how can people sign up? Yes! We need 100+ volunteers to make this a successful event! Volunteer positions begin at 7:00am and are finished by 10:00am, and include Packet Pick-Up, Finish Line, Course and the Water Station. To sign up for a specific shift or to learn more, contact Pahoua Xiong at (414) 831-6326 or pxiong@feedingamericawi.org. Who wants to win a race entry? 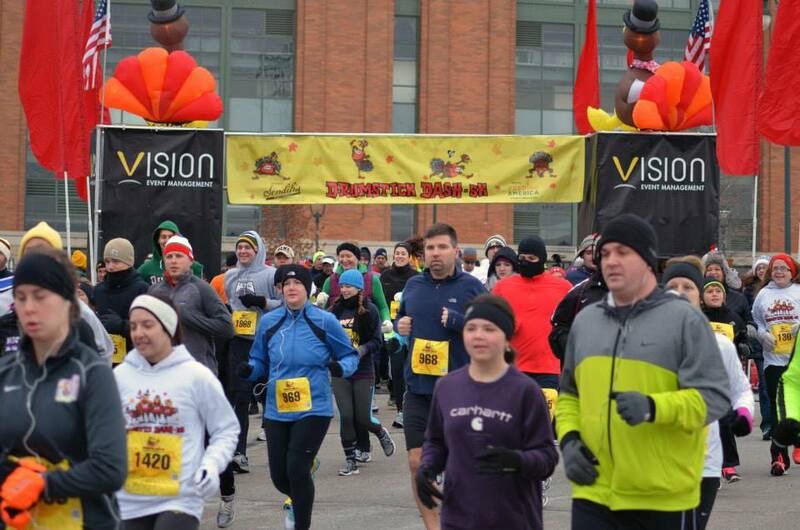 Vision Event Management has generously provided a race entry for one lucky Keep Running MKE reader. Best of luck to all who enter. We’ll announce the winner on Friday, November 6.